ManufacturerStarTech.comManufacturer Part NumberDKT30CSDHPDManufacturer Website Addresshttp://www.startech.comBrand NameStarTech.comProduct NameDocking StationMarketing InformationExpand the connectivity of your USB-C™ enabled laptop. 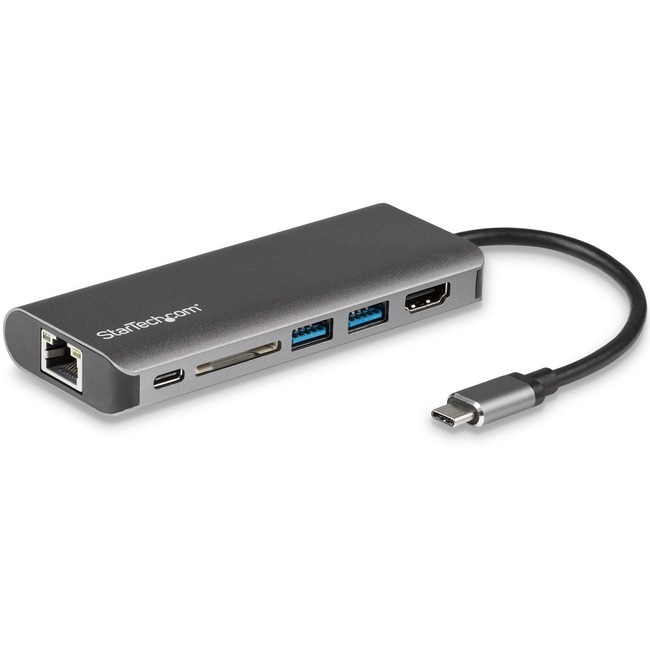 This USB-C multiport adapter lets you turn your laptop into a powerful workstation, virtually anywhere you go, and eliminates the hassle of carrying and connecting many different port adapters. The USB-C adapter lets you add 4K Ultra HD HDMI® video output, two USB 3.0 Type-A ports, one Gigabit Ethernet port and one SD card reader slot through your laptop's USB-C port.